Team All Spiffed Up presents 30 Days of Halloween. We’re kicking off the first of 30 costume posts with a great gift from Altamura. 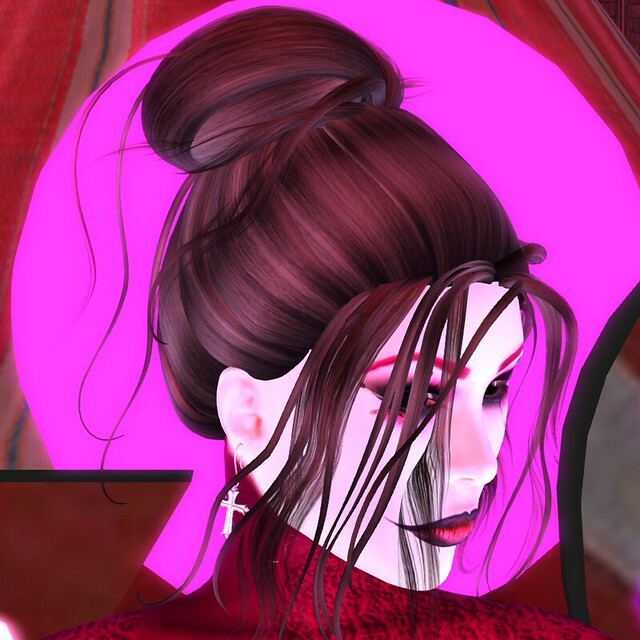 You can find the Halloween Red Avatar at the BeYou2Ful Event. She is a complete and fully clothed avatar. Wear the gift, put on a hair, eyes, and shoes then you’re good to go. 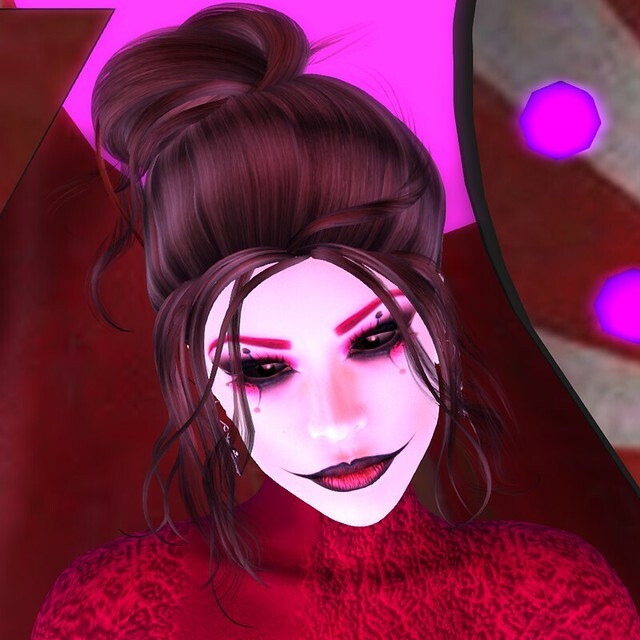 Altamura has done a fantastic job creating a beautiful yet macabre Halloween avatar. We recommend using an Altamura shape with this mesh body. If you don’t own any of the Altamura bodies check these posts ( Dancing Queen , Look, No Hands! 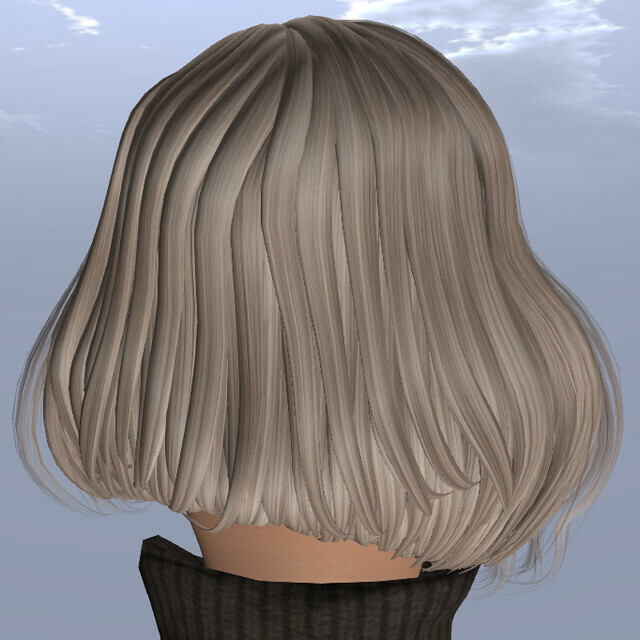 )to catch a ride to a sim that has one of the free Altamura bodies and use the packaged base shape. This face makeup is subtly creepy in a good way. To heighten the scare factor we added black alien eyes from the marketplace. The messy updo is LiquidMoon’s Hair Fair gift. 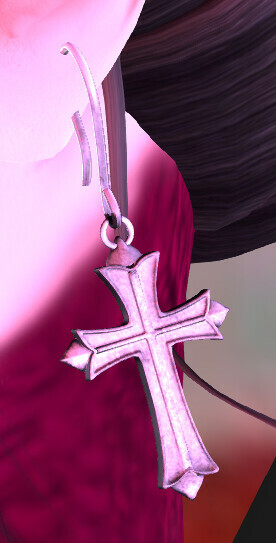 These wonderful Gothic earrings are a gift from EXiA at SaNaRae. Here’s another look at the Serena heels from our Desert Sky post. 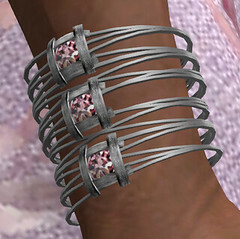 KC Couture’s Serena HUD allows you to chose between a double and single strapped shoe. This is the single strap option. Halloween at Black Pearl Pleasure Beach Amusement Park has great features. The Freak Show tents are awesome. There’s a giant Fun House, rides, fortune tellers, and an air of mystery.